Footage shows Kobane devastation Jump to media player The fierce battle for Kobane, a Syrian town on the Turkish border, has been going on for two months. Boy, 15, on life as an IS hostage Jump to media player In April 150 students from Kobane were kidnapped by Islamic State militants, while they were on their way home from taking exams in Aleppo. The fierce battle for Kobane, the Syrian town on the Turkish border, has been going on for two months. Islamic State militants there are battling Kurdish fighters. 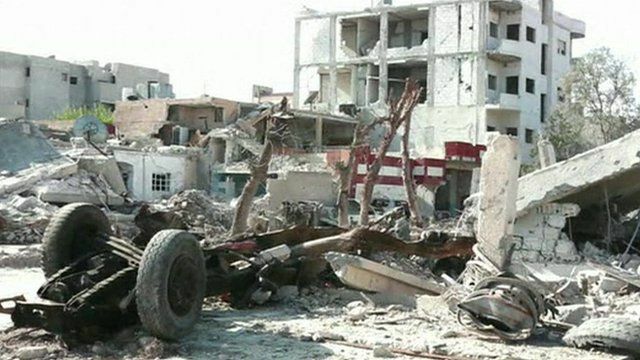 Footage shot by a video journalist who spent a week inside Kobane shows the scale of the destruction. Alan Johnston reports.